and a packed friday and Saturday! The Tullyallen men have been here before, last year and a couple of times before that in fact. They’ll be experienced and well aware of what it takes to win a semi final. However Roche have been in good form recently and although they got relegated from Division 2 they showed the gulf in class in the quarter final when they defeated the top division 3 side Westerns by 11 points. I think that league football will give them the edge! Roche made the short trip to the clans to beat Tullyallen 1-12 to 14. First team into the Junior Final! Third championship weekend in a row will stand to Stabannon. They are a very physical side and will hold no fear for the togher men. On the other hand, the Finbarrs will be fresh, primed and ready. 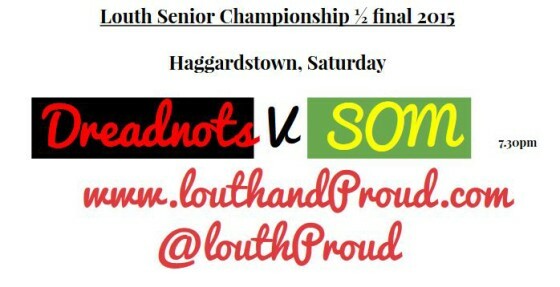 SOM have been a grand old team and freshened up the senior championship no end. The run they had last year has set them up nicely, they are not overawed and can mix it up when they want. Either going big with Conor Crawley inside or opting small with Killer Kilcoyne and Stephen Fisher and they can run the ball too with Peter Nixon or effectively from the half back line. 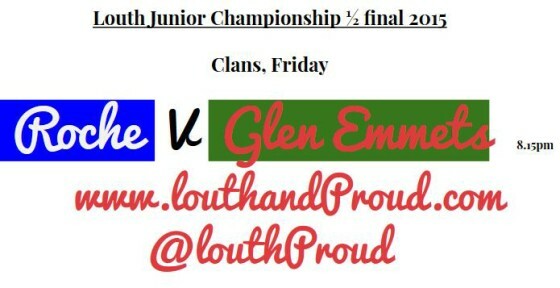 So plenty for Clogher to overcome. The Dreadnots are now an established and hardened championship side. They have improved this season too and should be able to handle whatever SOM throw at them. In defence and attack they’ve strengthened their lines with old faces in new places and the core principle of workrate. Injury whispers from Clogher could give the Dundalk men a boost. However, they seem to be ultra focused to make the final no matter how big the distraction. A bigger shock than Japan? the Sean O’Mahonys beat the Pepe Smyth Less Dreadnots 1-12 to 1-8 on the night. Great to see a new side in the senior final, what a year for the current Louth and Leinster intermediate champions! In the Junior Semi, Finbarrs saw off a sticky Stabannon side 1-8 to 4 Jack Butterly with the Togher goal. Thats a second junior final in 3 seasons for them.